Aircraft Maintenance Support: Air Show - The Su-30MKM of Royal Malaysian Air Force and Thunderbirds of United State Air Force. 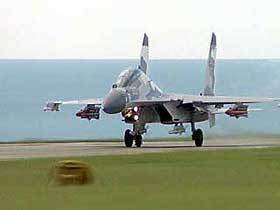 Air Show - The Su-30MKM of Royal Malaysian Air Force and Thunderbirds of United State Air Force. "The US Embassy is proud to announce the visit of the USAF Thunderbirds to Kuala Lumpur in partnership with the Royal Malaysian Air Force (RMAF)," said the US Embassy in a statement here today. Royal Malaysian Air Force and the United State Air Force (USAF) is proud to announce that the famous aerobatic team, The Thunderbirds and SKN to 11 RMAF will hold joint air show at October 3, 2009 at the Subang Air Base. SKN to RMAF 11 is an elite squadron of assets that have advanced the RMAF Su-30MKM. The Thunderbirds, while the use aircraft F16 is the squadron airshow USAF based at Nellis Air Force Base, Las Vegas, United States. 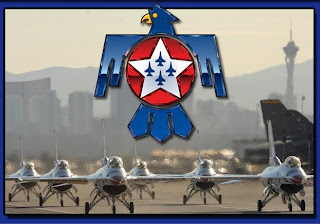 The Thunderbirds, a revered air demonstration squadron of the U.S. Air Force (USAF) will perform their aerobatic formation and solo flying stunts in specially-marked jets during an air show. 1200H - Arrival of 2 X C17 at Subang Air Base. 1430H - 1500H - Arrival of 8 X F16 & Arrival of 2 X KC135 Tanker. 0900H - Final Planning Meeting. 1030H - 1100H - C17 Demonstration. 1100H - 1130H - Thunderbirds Air Show (Fly Over KLCC Twin Tower). 1200H - F16 fly-by Chief of Armed Forces. 0915H - Arrival of Guest. 0945H - Arrival of Chief of Armmed Forces. 1000H - Arrival of Diplomats. 1015H - Arrival of Dignitries. 1030H - 110H C17 Demonstration. 1100H - 1130H - Sukhoi Air Show. 1130H - 1230H - Thunderbirds Air Show. 1245H - 1300H - Authograph Signing by Thunderbirds Crew. 1300H - VVIP & pilot Photography session.